I saw three black-crowned babies July 29 and August 2, 2016. 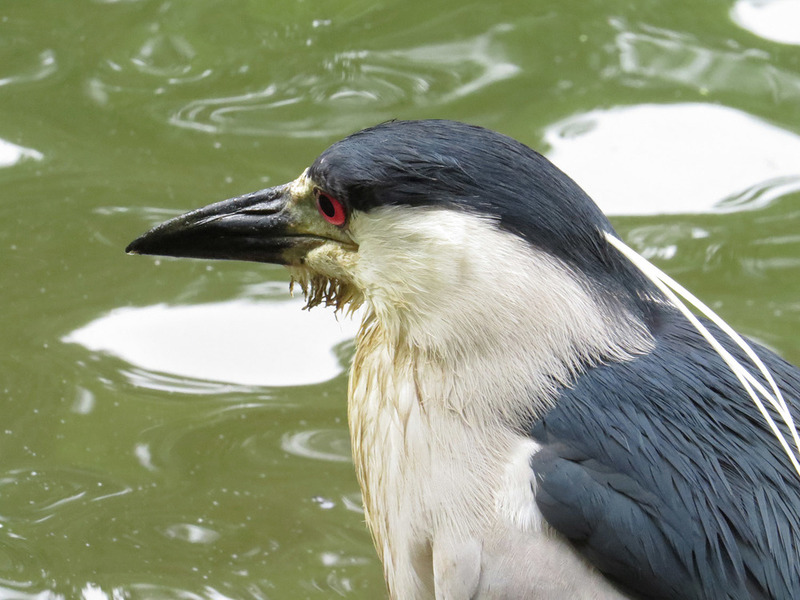 An older juvenile and a younger one were seen at Turtle Pond on August 2, and a youngster was seen at the 59th Street Pond on July 29 and August 2. I frequently see adults at both places, plus the Lake, but I had a nice chance to get some close-up video on these days of the kids. 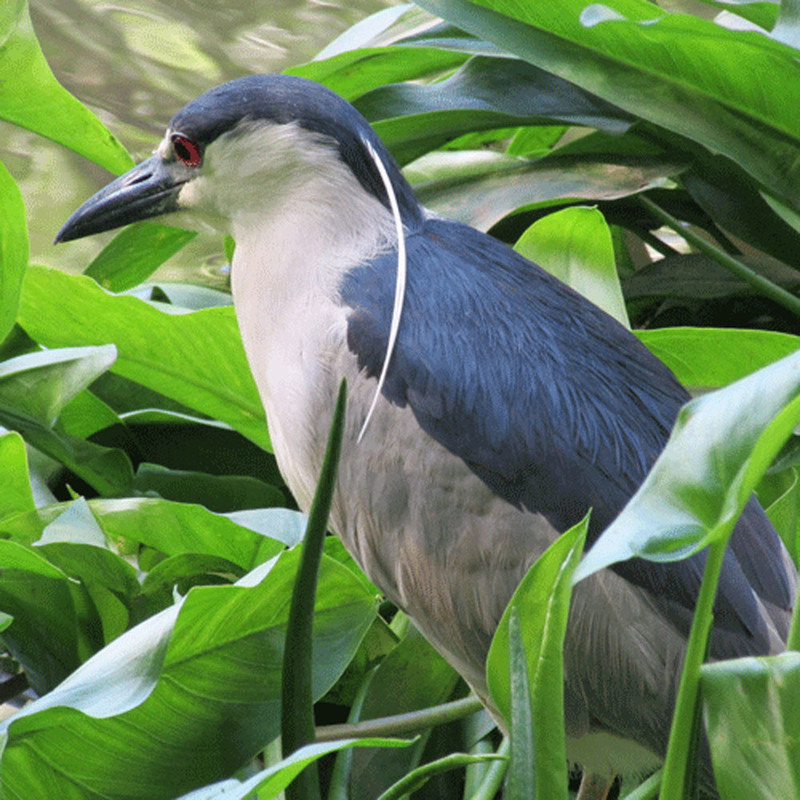 When I see the young herons, I am taken by how different their coloring is from the adults'. You can see in this selection a young fledgling, an older fledgling and the adult. The brown and white feathers turn blue and white, and the golden eyes turn red. 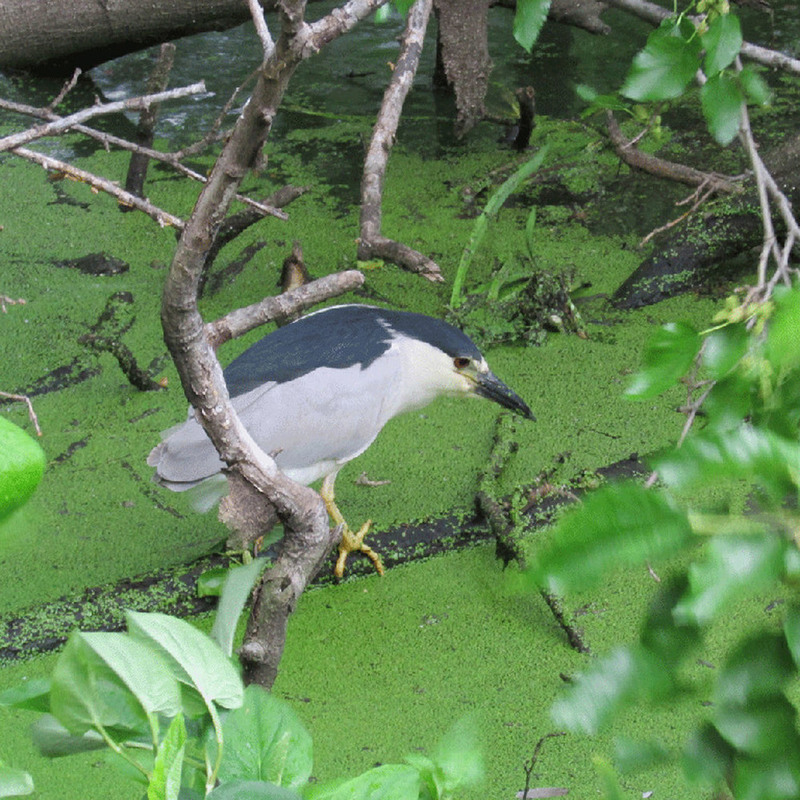 The Filming the Feathers video, Young Black-Crowned Night Herons in Central Park, features the two younger fledglings and one older heron. The music is a wind octet by Beethoven, performed by Soni Ventorum Wind Quartet (I used this music for the adult herons video you can find below). Photos of the youngsters, plus an adult, are in the following gallery. Photos are from July 29, August 2 and August 6, 2016. 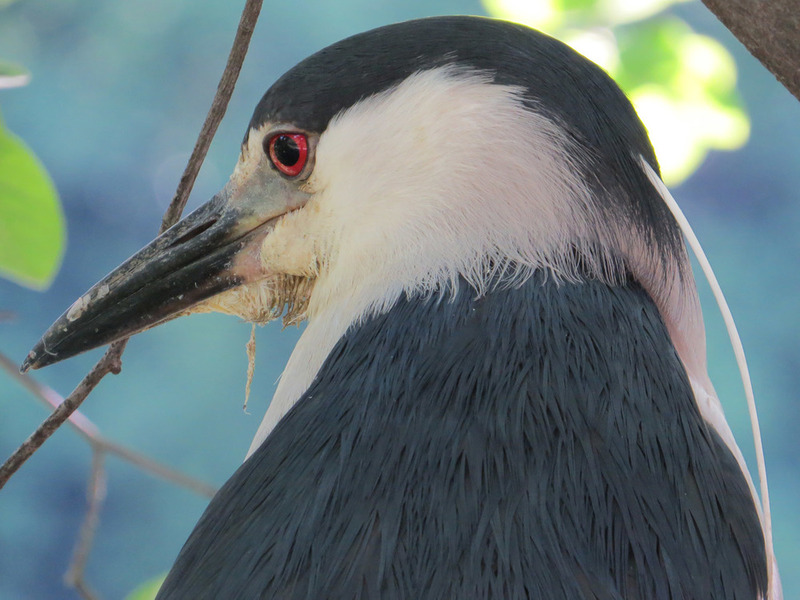 I've always been intrigued by the black-crowned night herons. At first I couldn't figure out where the black crown was — their heads have always looked blue to me. Maybe I just never see them with black crowns, or maybe whoever named them was missing a couple of color cones. Anyway, I think of them as the patriotic birds, with their blue and white feathers, and those red, red eyes. 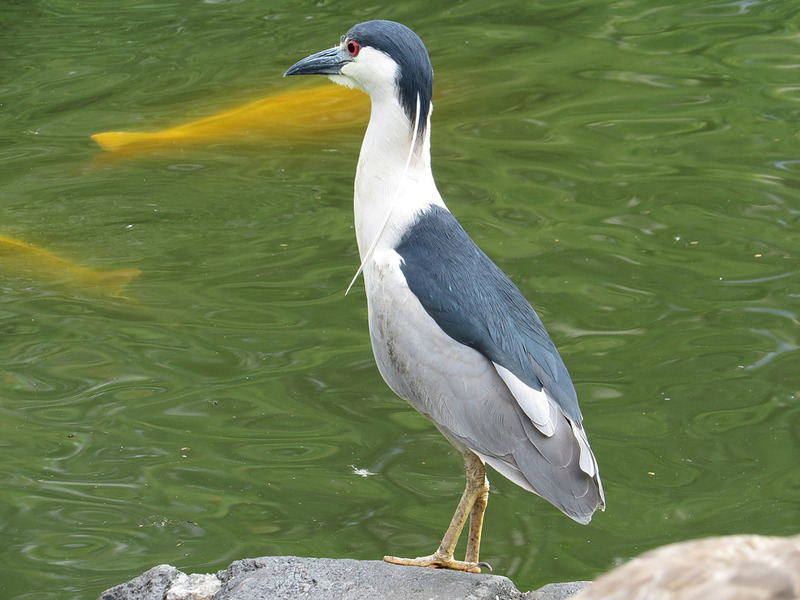 The turtles photo bomb a black-crowned night heron at the Pond, June 28, 2016. 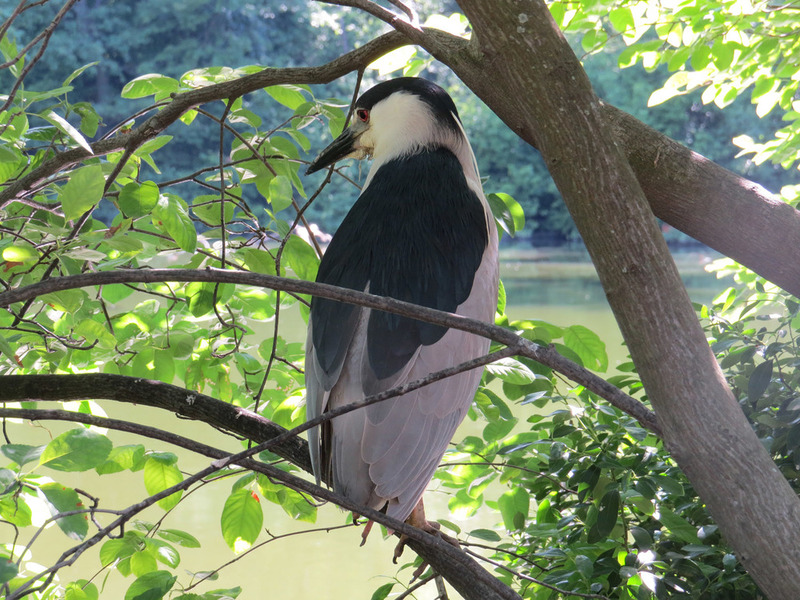 We've had several of these herons at the 59th Street Pond recently. At least one of them flies over to the spot where I'm feeding the ducks and waits for the fish to show up. I haven't seen a heron catch a fish using this method, but as my video shows, I have seen them catch very big fish, and gobble them right now. The Filming the Feathers film includes sightings on June 23, 24, 28, 30, July 1, 3 and 5, 2016, and is set to a wind octet by Beethoven. The photos below are from the same dates. I understand these guys eat rats. I'm all for that! 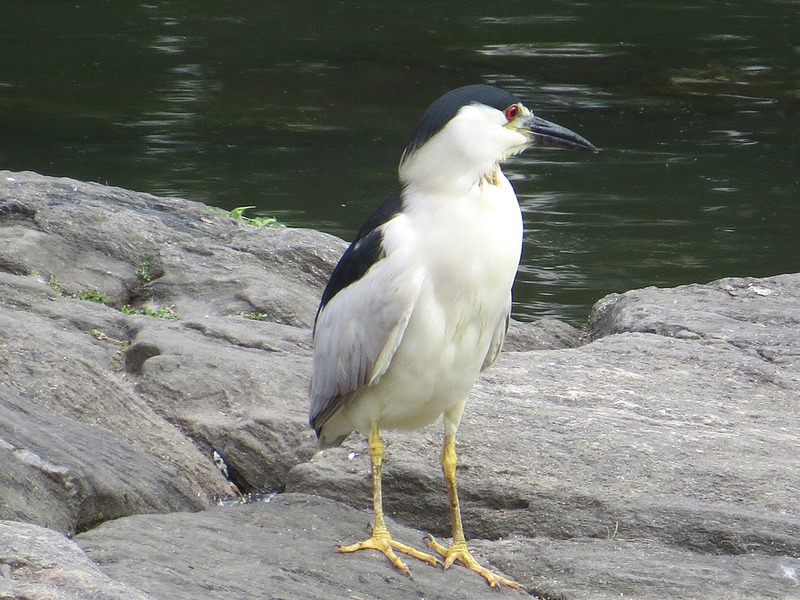 Black-crowned night herons are frequent visitors to Central Park. Often there are four or five at the Lake and even more at the Pond. This first shot was taken July 1, 2015. The next two shots are from May 2016; the following shots from 2013.